With an opportunity to win a series few thought his team could when it began, don’t think for one second that Portland coach Terry Stotts and his Trail Blazers will now relax because Chris Paul (fractured hand) and Blake Griffin (partially torn quad tendon) are out. Stotts said as much after his team’s 98-84 Game 4 victory on Monday night in Portland. By then, Stotts knew Paul had a fractured hand and he knew that Griffin could not finish Game 4 because he had aggravated his quad tendon, which was originally injured on Dec. 25. Expect the Trail Blazers to come out hard against the Clippers on Wednesday night in Game 5 at Staples Center. 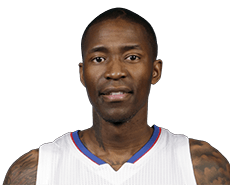 Austin Rivers is expected to start for Paul and Jeff Green is supposed to start for Griffin. Damian Lillard and C.J. McCollum of the Portland Trail Blazers make up one of the NBA’s top guard tandems. But make no mistake, point guard Lillard is the main straw in that drink. The Clippers know that, and they will be hard-pressed to contain Lillard when the teams tangle in the first round of the Western Conference playoffs, beginning Sunday at 7:30 p.m. at Staples Center. 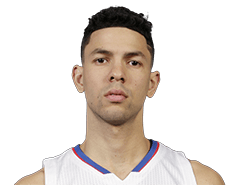 Clippers reserve guard Austin Rivers intimated his team gets what it’s up against. Lillard is averaging 25.1 points – sixth in the league – 6.8 assists and 4.0 rebounds. McCollum is averaging 20.7 points. The Clippers’ two starting guards – Chris Paul and J.J. Redick – average 19.5 and 16.3 points, respectively. Paul averages 10.0 assists, fourth in the league. Redick shot 47.5 percent (200 of 421) from 3-point range. The Clippers, the No. 4 seed, finished the regular season 53-29. The fifth-seeded Trail Blazers went 44-38.